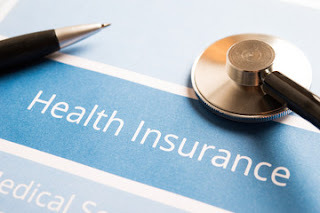 There are many insurances around today, but health insurance is one of the most sought after, and essential insurance. “coverage that provides for the payments of benefits as a result of sickness or injury. It includes insurance for losses from accident, medical expense, disability, or accidental death and dismemberment”. a country, hence called a national plan. ALSO READ: Healthcare Reform: Why Are People So Worked Up? • Unforeseen occurrences in life might cause serious health issues. This issue might be solved with urgent financial services, and a health insurance can help you. READ What Are The 5 Most Popular Cosmetic Dental Procedures? • Acts as a ‘savings’ for any medical emergency in future. You could save money on your own, but you can easily spend it when trivial needs arises. But with a health insurance you have a secure savings for medical emergencies. • It helps you to also live a healthier life. Some health insurance packages involve preventive services, and routine medical examinations. There are two major types of health insurance plans or coverage- group coverage and individual coverage. This type of plans are provided by an employer, government agency, or union. Group plans are further subdivided into self funded and fully insured group plans. In the self funded group plan, the employer calculates a maximum annual risk amount and pays all medical costs and assumes all risk for its employees, for example an employer in the United States can set a health insurance of $2 million a year in a self funded group plan, and if no emergency arises the $2 million returns back to the company. The company takes care of any health issue that might arise in workplace. responsibilities related to claims management. So, if the company annual maximum risk is $2 million and no emergency arises, it stays with the insurance company. baby services, preventive care, vision, and dental care in the group plan. Also called single-payer plans, this type of health insurance plan are negotiated between an insurance policy holder and an individual. Generally, individual coverage is much more expensive and provide limited coverage. In 2010, President Obama of the United States signed into law the Patient Protection and Affordable Care Act. This Act made sure that all Americans has a health plan and that all individual health plan shoukd have some essential benefits for the insured. The Individual health insurance can cover pediatric, laboratory, hospitalization, rehabilitative, emergency, and ambulatory services. 1. Premium – is the amount of money that is paid for the health care plan. This may be paid on a monthly basis quarterly or annually by you directly or through your employer. 2. 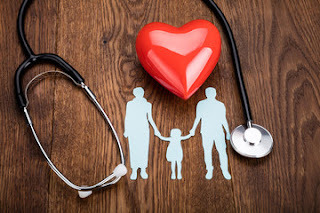 Deductible – is the amount of moneuy you pay from your own pocket for the services your health insurance plan covers before the health insurance plan starts to cover the costs. For instance, if your plan deductible is $1,000, you will have to spend up to $1,000 of expenses. Then the insurance will commence and pay for expenses above $1,000. Deductibles apply to a given benefit period, usually of one year at a time. 3. Coinsurance – is the percentage of the total cost for services that the insured will pay along with the insurance service. This will occur after deductibles are met. For instance, if you have a financial need of $1,000 and you have already reached your deductible, you’ll will pay 20% of the $1,000 while the health insurance company will pay 80%. 4. Co-payment : The amount that the insured person must pay out-of-pocket before the health insurer pays for a particular visit or service. For example, an insured person might pay a $35 co-payment for a doctor’s visit, probably to obtain a prescription. A co-payment has to be paid each time a particular service is obtained. 5. Coverage limits – is the limit which the insurance covers a payment. The insured person will hence be expected to pay any charges in excess of the health plan’s maximum payment. For example, a coverage limit can be $10,000. 6. Exclusions: is the services are covered. In this case, the insured are to pay the full cost of non-covered services out of their own pockets. 7. Capitation: An amount paid by an insurer to a health care provider. The health provider will then have to render services all members of the insurer. This occurs in the group plan. 8. 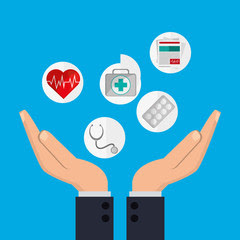 Explanation of Benefits: A document that contains what was covered for a medical service, and how payment amount and patient responsibility amount were determined. It is usually sent to the insured before the health plan is agreed. 9. Pre-existing condition – is any health challenge or medical issue you have before the health coverage commences. 10. Claim – any request for payment that you or your health care provider makes to your insurance company based on services you think are covered. 11. Prior Authorization: A certification or authorization that an insurer must provide prior to any service being rendered by the health provider. 12. In/Out-of-network – a network consists of the services, healthcare professional and facilities associated or works with your health insurance company. “In” means those found within the network whereas “Out-of” means those not covered in your network. This is where we end today. I hope that now you understand the basics of health insurance. On December 30, 2016, We tweeted that we will begin to cover more topics on health insurance on the blog. I promise to write more beneficial articles on this topic on my blog, so please keep visiting my blog. Thanks for reading, please comment if you have any questions and don’t forget to share!